Equity investors, especially those who follow growth stocks, know that bad news can be good news. That’s because bear markets persist until investors give up and sell their stocks. When the last investors finally make that sell order, markets can start to turn up. As Cabot Emerging Markets Investor‘s Chief Analyst Paul Goodwin likes to say, “The moment of maximum hopelessness marks the start of the next bull market.” That’s great news for Cabot, as we have actual market timing indicators that we trust and use. Markets are always going up and down, and if you have a way to distinguish a real market move from random motion, you can be back in the market before most investors know that the bull is back in town. 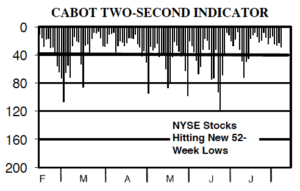 Cabot’s proven Market Timing Indicators are Cabot Trend Lines, Cabot Tides and the Two-Second Indicator (At Cabot Growth Investor, we follow these very closely when making our investing decisions). 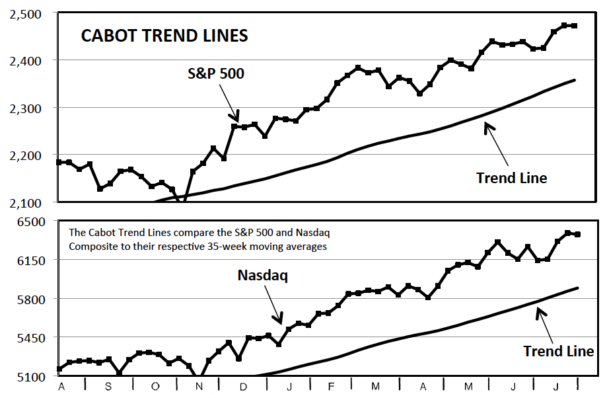 The Cabot Trend Lines are our unique way of determining the long-term trend of the stock market. As long as both the S&P 500 and the Nasdaq Composite fluctuate above their respective trend lines, we consider the market to be bullish. If both indexes are below their trend lines, we are in a bear market. We used to use a more complicated approach, but in 2012 we did extensive backtesting and found that using the 35-week moving average for each index worked best. Basically, if both indexes close two straight weeks above their respective 35-week lines, it’s a buy signal; if both close two straight weeks below them, it’s a sell signal. Using such a long-term moving average won’t result in pinpoint signals, but that’s the point—it keeps you on the right side of the major trend. Looking at the 2000 to 2012 period, if you simply bought the Nasdaq Composite during buy signals and sold the Nasdaq short when the Trend Lines turned negative, you would have made 130%, compared to a loss of 15% for the Nasdaq as a whole. Going back further, to 1991, if you owned the Nasdaq during bullish periods and simply held cash during bearish periods, you’d be up 10-fold, versus less than seven-fold for the market as a whole. Of course, this isn’t meant to be a trading indicator, per se, but the point is that it will keep you on the right side of the major trend 80% or more of the time. That in and of itself puts you ahead of the vast majority of investors. 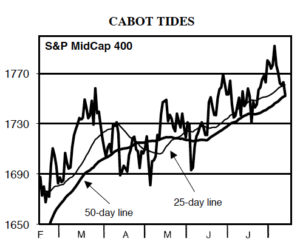 The Cabot Tides is made up of five different market indexes to help us determine the overall intermediate-term direction of the stock market. They are: S&P 500, NYSE Composite, Nasdaq Composite, S&P 600 Small Cap and the S&P MidCap 400. 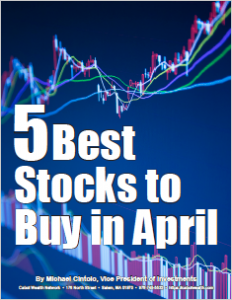 The market is considered to be advancing on an intermediate-term basis if at least three of these five indexes are advancing. And contrarily, the market is deemed to be declining if at least three of these five are declining. To derive intermediate-term signals, we compare each index to its own 25-day and 50-day moving averages. If the index is standing above the lower of these two moving averages, and that lower moving average is itself advancing, then this index is bullish. Otherwise, it’s safe to assume the intermediate-term trend for this index is down. Probably the most important advantage of using this moving average approach in timing the market is that you are guaranteed to catch every major market advance while avoiding every major market decline. This is the nature of a moving average. But there is a cost. It’s the opportunity lost in the first few weeks of a new advance. And it’s the small penalty you must pay for getting out of the market quickly when the market changes its mind soon after a new buy signal is given. For example, a new buy signal could quickly turn into a sell signal if the market turned weak enough to drop the index below its lower moving average. If that happens you should quickly turn defensive again and start thinking about the preservation of your capital instead of trying to make big gains in a falling market. The Two-Second Indicator is so named because that’s how long it takes to read: Just two seconds, every day. 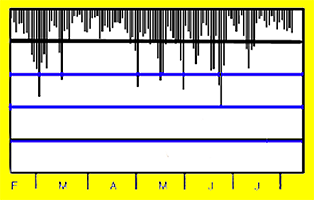 Specifically, this indicator measures the number of securities on the NYSE reaching new annual (52-week) price lows on any given day. This data is readily available in most major newspapers, though we use the data from The Wall Street Journal. The Two-Second Market Timing Indicator’s specialty is detecting market tops. When the number of daily new lows on the NYSE is greater than 40 while the major indexes are rising to new peaks, look out! It’s telling you that, internally, sellers are in control of most stocks, and the indexes are masking this weakness. We call this the Leaky Boat Syndrome, where, on the surface, things look fine, but in reality you’re taking on water! It’s the same story when new lows expand to more than 40 just as the indexes come down from their peaks—again, not a good sign. However, if new lows expand to greater than 40 after the indexes are five days or longer off their peaks, then it’s not as big a deal; in this case, the Two-Second Indicator is simply telling you the market is entering a correction. This correction could be deep, and thus you should still practice caution. But the chances that the market is entering a real bear market at that point are unlikely. Lastly, when new lows are less than 40 day after day, that’s a sign of a healthy, robust market—the buyers are firmly in control of most stocks. Overall, it’s a simple indicator, but we’ve learned that the simplest indicators are often the best, and the Two-Second Indicator certainly fills that bill. 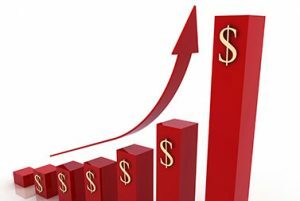 At Cabot Growth Investor, we rely on our market timing indicators all the time when we make our investing decisions. That is how we were able to double our readers’ money multiple times throughout the years and grab a 270% profit in Beechcraft, a 173% gain in WD-40, a 240% gain in MCI Communications, a 122% profit in Triangle Industries and a 296% gain in TASER, just to name a few. 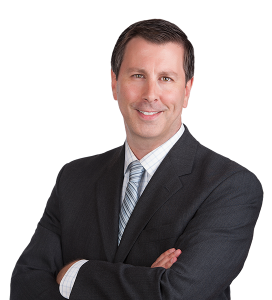 If you are looking for the Wall Street’s best advisory, Cabot Growth Investor is the one you should check out now. Click here to find out more. This post was originally published in November 2016 and is periodically updated. Are the composite index graphs/data available public? You mention using wanda is that free to use? Thanks for asking. So, graphs for the indexes are available on any charting website; we like to use stockcharts.com (free), as do many traders. WONDA, though, is an institutional charting/data product that we pay for. But, just for charts, you can get most of what you need through some of the free sites out there. Good luck!